Can't keep your eyes open? There's a nap for that. 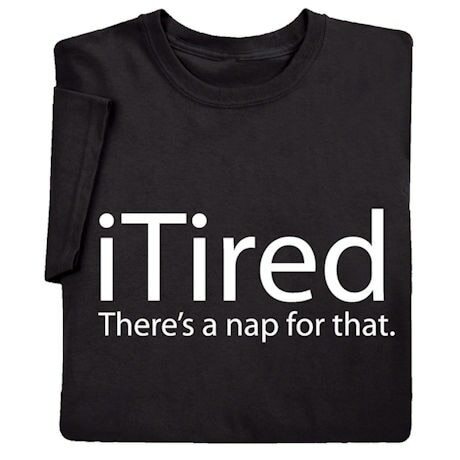 Casual attire for anyone with a smartphone, black sweatshirt is 50/50 cotton blend; T-shirt is preshrunk, sizes S-3XL. Nightshirt hangs 34" in sizes S/M or L/XL. Snapsuit sizes Newborn thru 24 mos. All are 100% cotton. Imported.